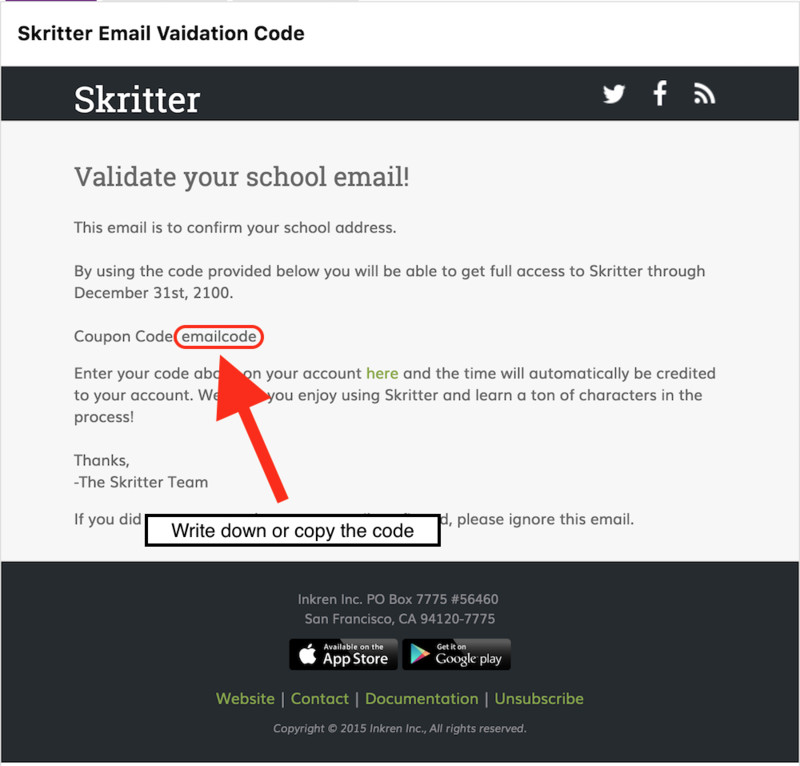 If you are enrolled in a class which has purchased Skritter, you can use your school email address to validate your account and unlock access. 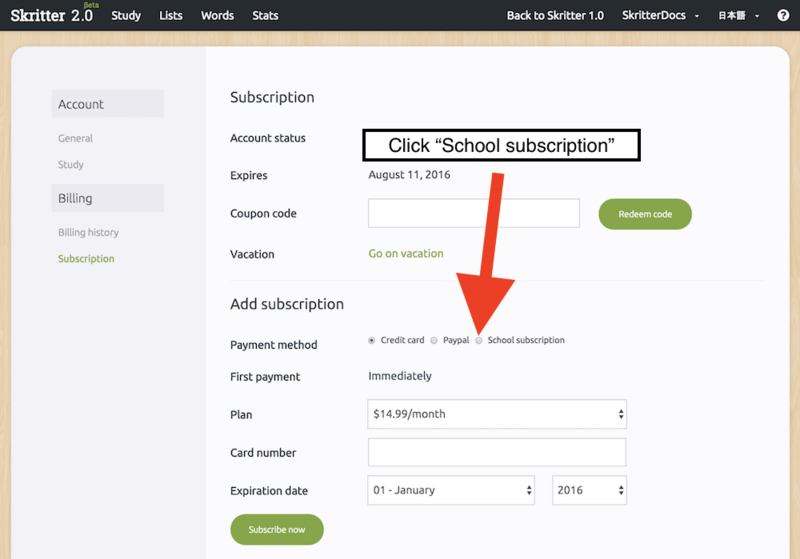 This can be done either when signing up, or after signing up via your account page. 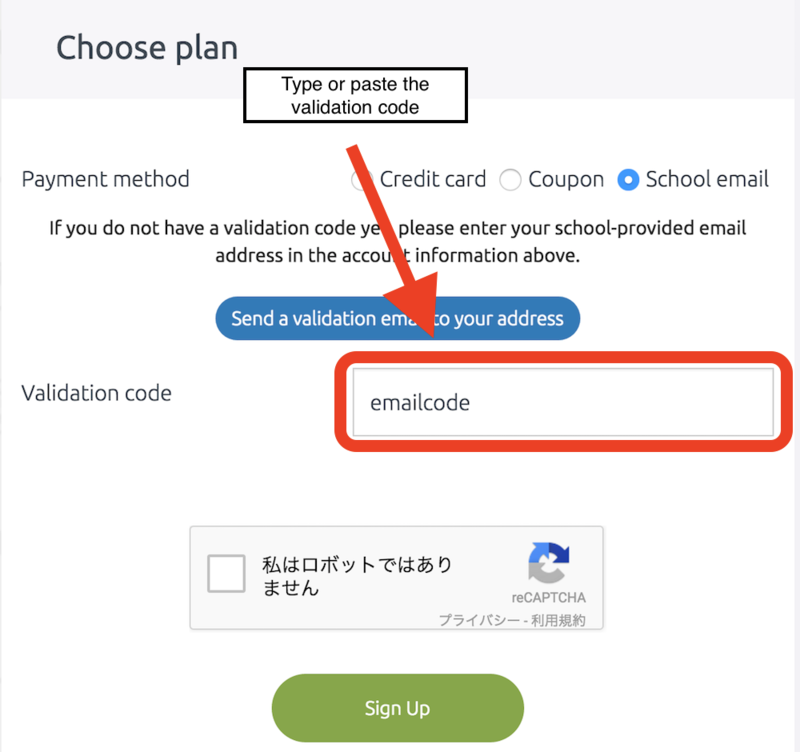 An email will be sent to you containing a validation code. 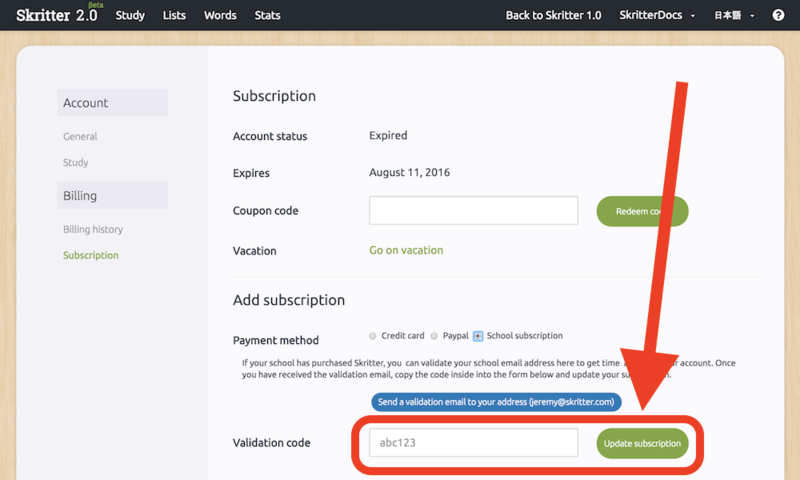 Type or paste the code from the email into the Validation Code area. 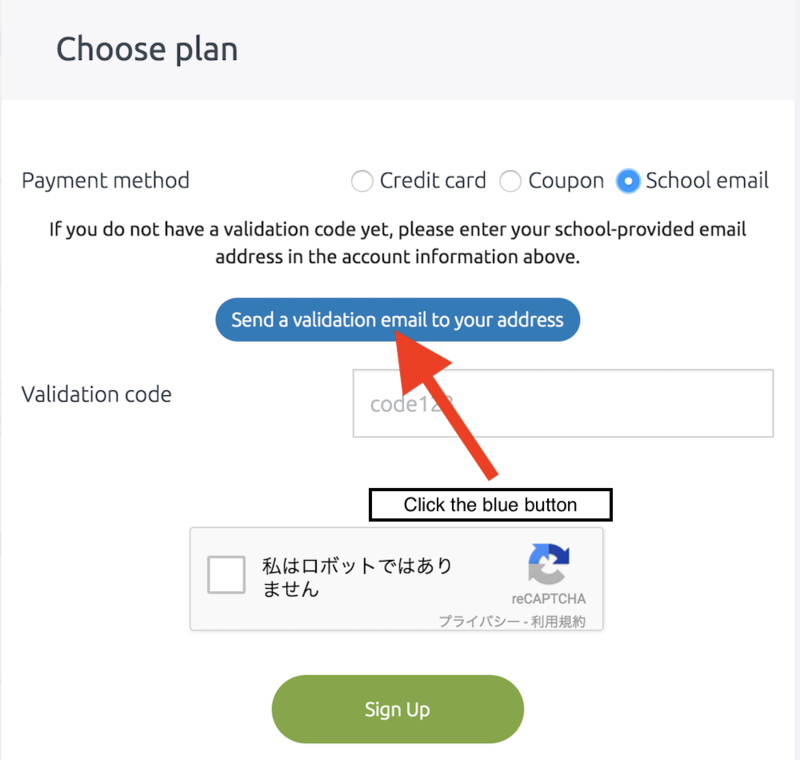 Confirm the reCAPTCHA check box, and finish by clicking Sign Up. Click your user name on the upper navigation bar, then Account. 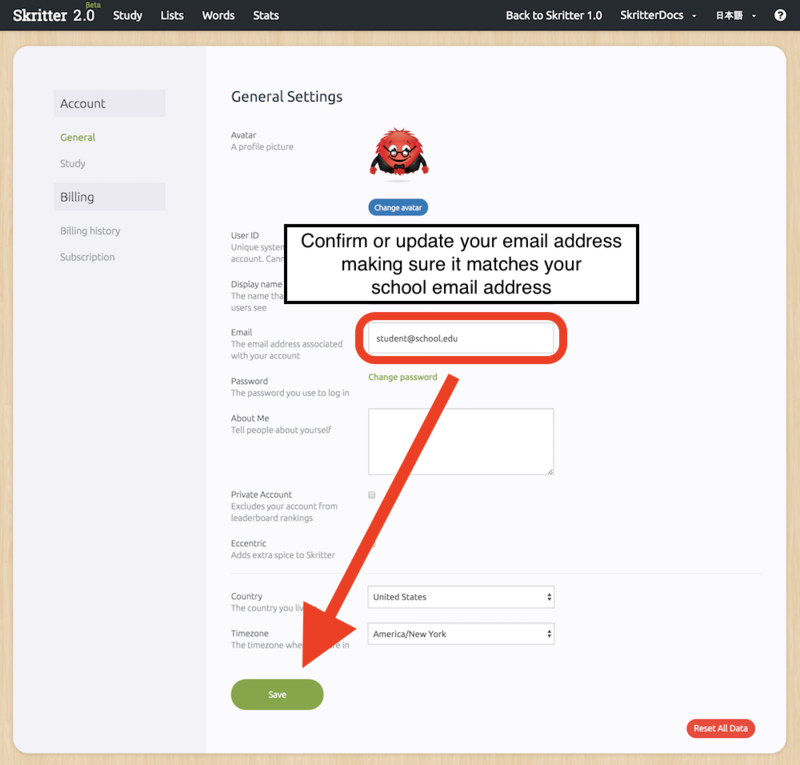 Confirm your email address matches your school email address. 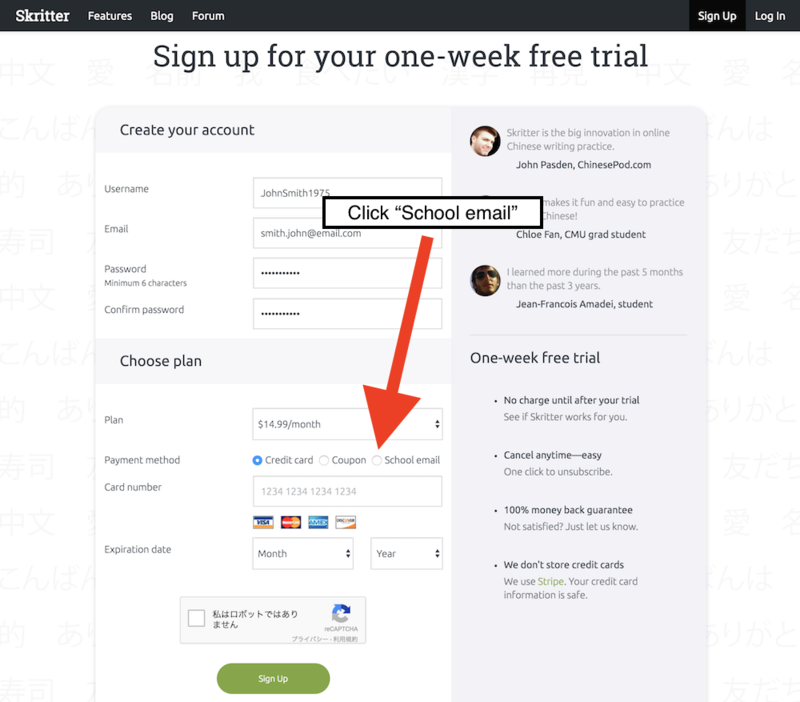 Make sure to press the Save button if you have changed your email address. 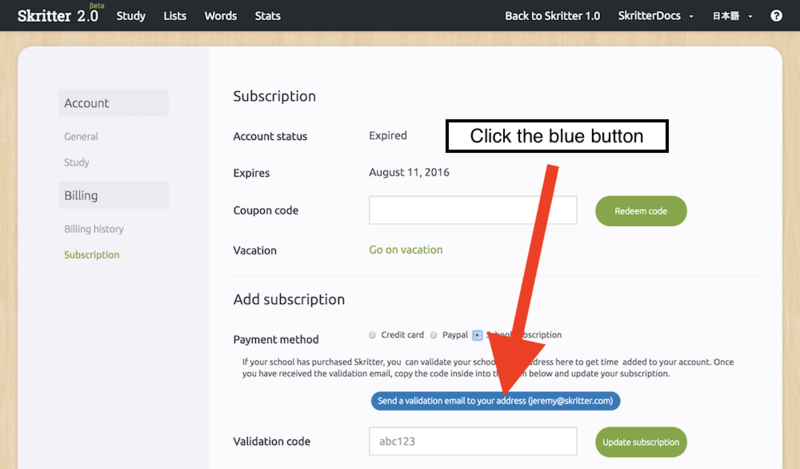 Click the button labeled Send a validation email to your address. Finish by clicking Update subscription.